A Pareto plot is an enhanced bar chart. It comes in useful for deciding which bars in your bar chart are important. 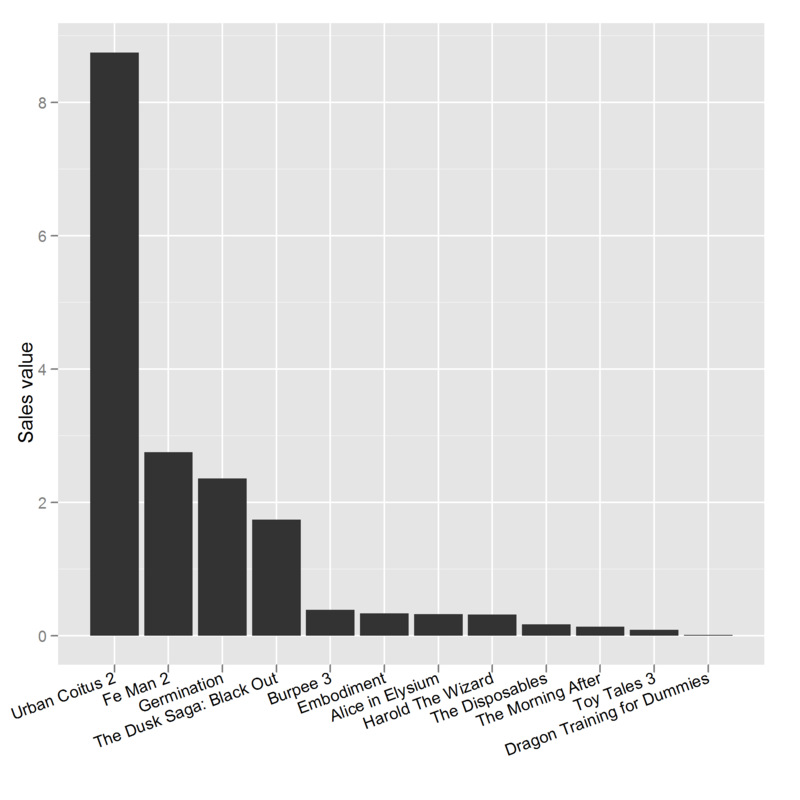 To see this, take a look at some made up DVD sales data. The “importance” of each bar is given by its height, so we can make the plot easier to interpret by simply sorting the bars from largest to smallest. To find 90% of sales, we need a cumulative total of the sales values. Due to a technicality of ggplot2, since bars use a categorical scale but lines require a numeric scale, we also need to convert the x values to be numeric. This function fortifies our dataset with the requisite columns. 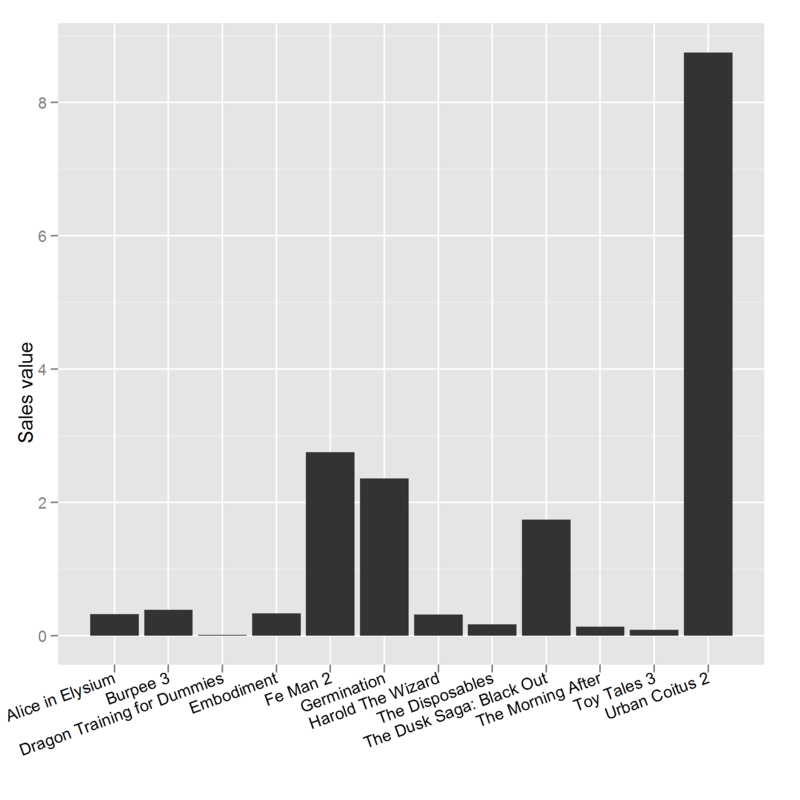 To see which DVDs constitute 90% of sales, read across from 90% on the y-axis until you hit the cumulative total line. Now read down until you hit the x-axis, and all the DVDs to the left of that point constitute your “important” set. In this case, you’d be telling your boss that 90% of sales come from “Urban Coitus 2”, “Fe Man 2”, “Germination” and “The Dusk Saga: Black Out”. 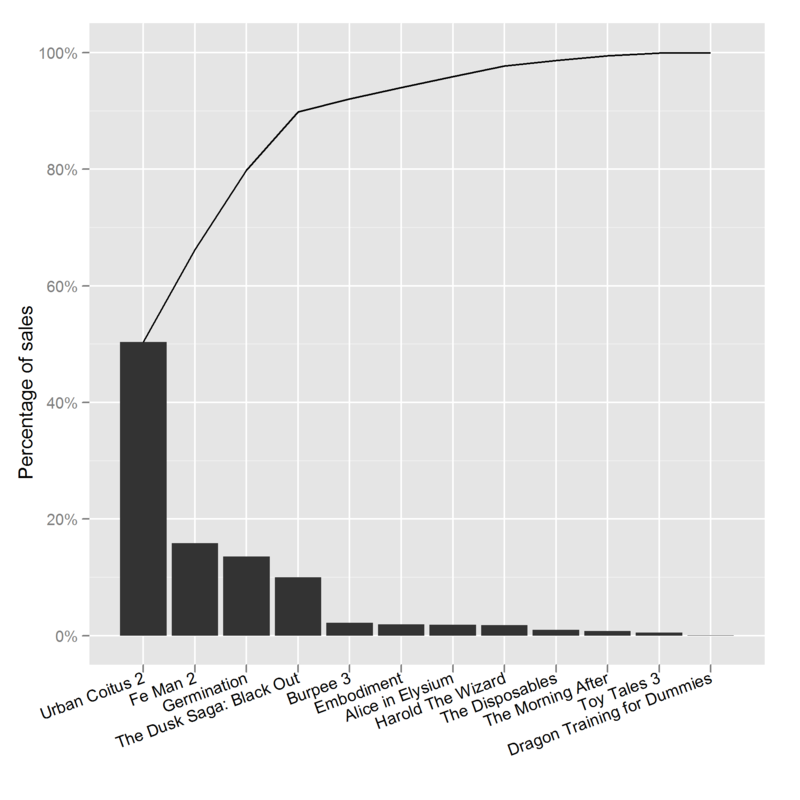 And there you have it: a Pareto plot. These plots are useful whenever you need to reduce the number of categories of data. As well as these businessy examples, they are great for things like principal component analysis and factor analysis where you need to reduce the number of components/factors.